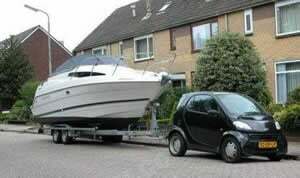 Relying on a 401(k) as a main source of retirement income is sort of like buying a Smart Car to pull your boat. When planning for retirement, just like in practical everyday life, success depends on choosing the right vehicle for the job. So what makes the 401(k) the wrong vehicle for producing income? Simply put, 401(k) plans were created to be supplemental savings vehicles, not income generators. Let’s look at the annuity vs 401k plan as a retirement income stream and see who comes out on top. Back in 1978 when 401(k) plans were created, most employers sponsored employee pension plans. The objective of these defined benefit plans was to provide a set amount of retirement income for the lifetime of the employee, or the employee and their spouse. Between pensions and Social Security, most Americans had plenty of guaranteed lifetime income to provide for their needs. In this context it is easy to understand that defined contribution plans like 401(k)s and IRAs were meant to offer a means of saving extra money for retirement while taking advantage of tax deferral. The trouble is now that most employers have eliminated pension plans, Americans are left to figure out how to fill the retirement income void. Most simply don’t understand that their 401(k) is the wrong vehicle for the job. When we retire, we need to know we will have income to rely on for our daily needs for as long as we live. The trouble is we don’t know how long that will be. Walking the tightrope of withdrawing as much as we need, but not enough to cause us to run out of money decades later, is a difficult undertaking. When you add losses due to stock market downturns into the mix, it becomes a truly treacherous situation. We need guaranteed income for our lifetime, but fewer than 20% of 401(k)s offer a lifetime income option. So where is a retiree to turn? Fixed Index Annuities. Rolling a 401(k)’s balance over to a Fixed Index Annuity protects you from two major retirement dangers: market risk and longevity risk. First, FIAs provide a safe haven from stock market downturns by guaranteeing principal and annual gains against loss. This means no matter what happens in the stock market, an FIA’s value will only decrease if income is being drawn from it. The owners of FIAs never have to recover from stock market losses or worry that a market crash will consume years of their retirement income. The best advantage of Fixed Index Annuities is their ability to provide guaranteed lifetime income. No matter how long you live, your FIA plan will continue to pay you a contractually guaranteed income. Some plans even offer the ability to continue to earn interest credits while you are drawing a retirement income stream – allowing your income the ability to grow with inflation over the decades you’ll spend in retirement.